Southampton preserved their Premier League status for another year despite a last-gasp 1-0 defeat against champions Manchester City at St Mary’s on Sunday, and now they need to learn from and make progress from what was a close shave and a big reality check for the club. The south coast outfit had recorded four successive top-eight finishes in the top flight, but a mixture of complacency and arrogance from the board saw them come close to dropping into the Championship, before Mark Hughes saved them by taking eight points from a possible 15 available in their final five games. The 54-year-old looks set to be handed the role on a permanent basis – something the Southampton fans that voted on our poll will be pleased about – and he will quickly want to get to work on his squad to ensure that they don’t find themselves in the same situation in 12 months’ time. While the likes of Ryan Bertrand, Cedric Soares, Manolo Gabbiadini and Sofiane Boufal could all go – which wouldn’t be too surprising – there may be some shock names that go through the St Mary’s exit door before the beginning of the 2018/19 campaign, too. One area that Hughes could prioritise strengthening is up top, where he will decide the futures of Gabbiadini, Shane Long, Guido Carrillo and Charlie Austin, rated at £10.8m by Transfermarkt. There is certainly a case for the former three to all go with Gabbiadini struggling for form for more than a year – aside from his crucial Swansea City goal – Long offering something in terms of all-around play but not in terms of goalscoring, and club-record buy Carrillo pretty much a disaster following his January move from Monaco. 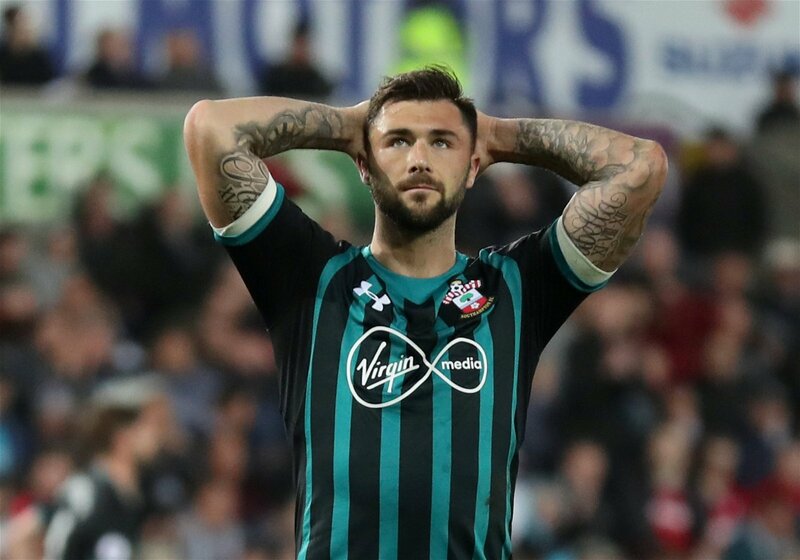 Meanwhile, Austin finished the season as Southampton’s top marksman in the Premier League with seven goals – even though he only played 24 top flight games – with his three striking teammates only reching the same number between them. In those terms and by the fact that the fans’ favourite started the majority of Hughes’ eight league games in charge up top, you would think that he would be the striker that is the most safe this summer. However, in many ways he doesn’t fit in with the way the team plays and his shortcomings on the pitch are part of the reason why the side has sometimes struggled in the final third. Austin scores goals and when you give him an opportunity in the penalty area, you know more often than not that he is going to, at least, work the goalkeeper. When Southampton are lining up in their preferred 4-2-3-1 system – although Hughes changed that to three at the back at the end of the season and it remains to be seen whether that changes continues into the following campaign – they need a lone striker who can make a decent all-round contribution. Graziano Pelle and Rickie Lambert did exactly that in previous years, by not only providing a big goal threat but also being able to win headers and hold up the ball to allow their teammates to catch up and support them, while they had decent link-up play. The same can’t be said of Austin, who is more often than not a one-dimensional centre-forward who isn’t particularly good on the ball or at winning headers against fellow defenders, while he doesn’t have the pace or mobility to run the channels when required. If Southampton are to return to being a top-half Premier League team next season they need to move the 28-year-old on and bring someone in who is in a similar mould to Lambert or Pelle, in order to try and bring out the best from the likes of Nathan Redmond and Dusan Tadic behind them.